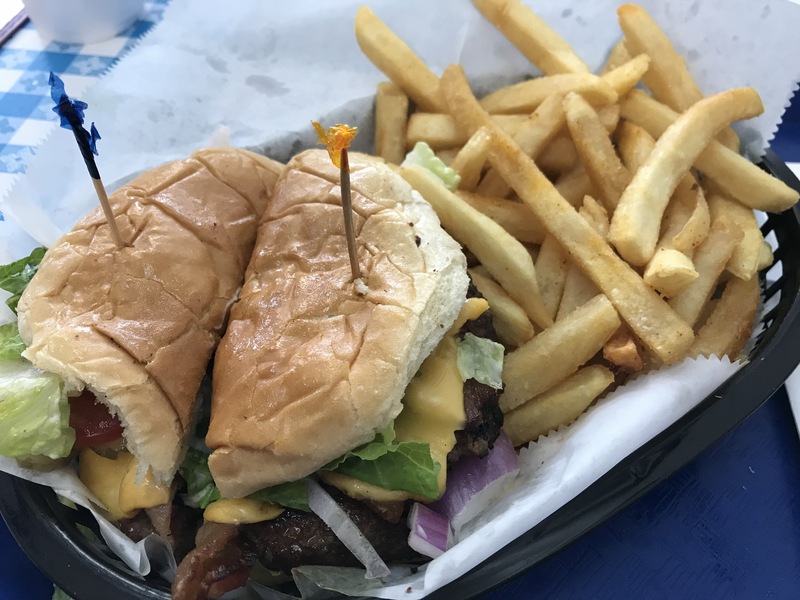 In my ongoing quest to discover the best burgers in the Lone Star State, I have pulled into more than one sketchy looking burger joint to check things out. In the process I have learned that unless you are willing to take a risk you are likely to miss some of the best eating in Texas. That said, I must confess that I almost missed eating one of the best burgers I have ever had — not because the joint looked sketchy but because it was a place that did not specialize in burgers. To add to my indecisiveness about whether to walk in the doors is the fact that this joint is attached to a Shell station. 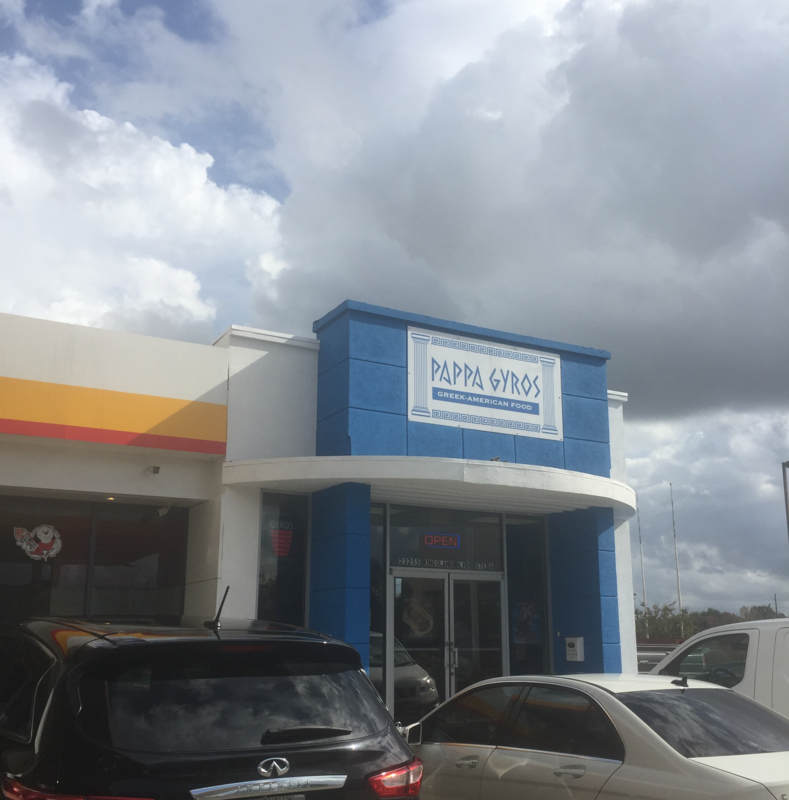 Pappa Gyros is located at the corner of Kingsland Boulevard and the Grand Parkway in my hometown of Katy. It is easy to miss because it occupies the south end of the Shell station on the southeast corner of the intersection. This place specializes in Greek food (which I enjoy) and American dishes. I recently joined some friends to give Pappa Gyros a try. They assured me that they did offer burgers on the menu. So, I decided to be that guy that orders a burger at an ethnic food joint. Why not? After all, I was really hungry for a good burger. Pappa Gyros is packed into a tight little space with a few tables and some bar seating. I noticed that their drive-thru service stayed pretty busy the whole time we were there. That was absolutely a good sign. I ordered my usual bacon-cheeseburger and opted for a side of fries and some tea. My order arrived in good time. 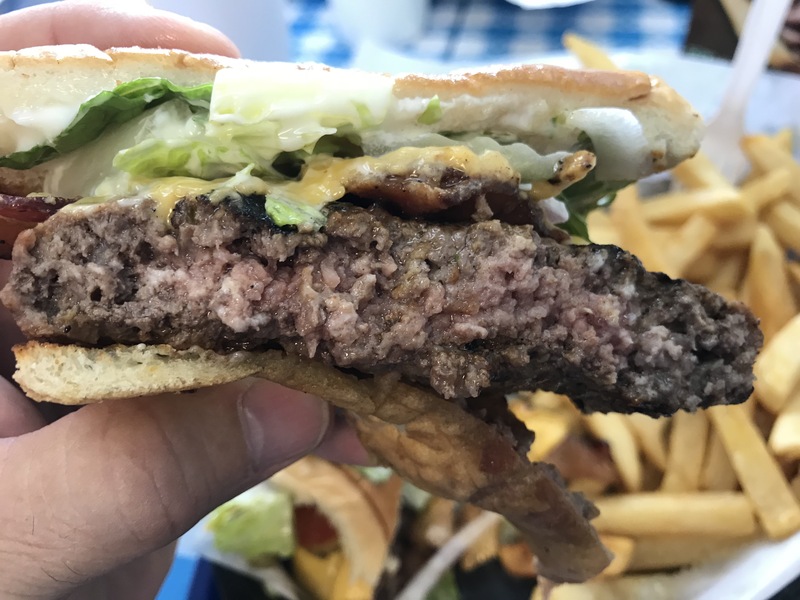 I did ask them to cut my burger in half, something I like to do in order to get a good look at the strata — a view of all of the burger layers and components. The generous patty was cooked just the way I like it. All of the fixings were clearly fresh and the bacon was thick and crispy. One of the things that, in my estimation, ruins a good bacon cheeseburger is wimpy bacon. So, seeing the thick slabs of bacon cooked on the crispier side of the scale was a good sign for me. As for the first bite, immediate confirmation that I had made the right choice. This burger was among the best I have had. Every bite brought a smile to my heart. Really good. And to think that I had almost missed this opportunity because I was judging a book by its cover. Goes to show you that you can find a good burger in the most unlikely places. I have since recommended Pappa Gyros to friends who have thanked me for doing so. I certainly plan on visiting Papa Gyros again since it is only a couple of miles from my home. I encourage you to explore your own neck of the woods to discover a burger joint near your home. And remember to look past some of the things that might discourage you from giving a place a try. You just might find one of the best burgers you have ever had in the Lone Star State. This entry was posted in Places To Eat and tagged Burgers, Hamburgers, Pappa Gyros Greek-American Food. Bookmark the permalink.